As I mentioned a couple of weeks ago, our fridge pooped out and we had to buy a new one. 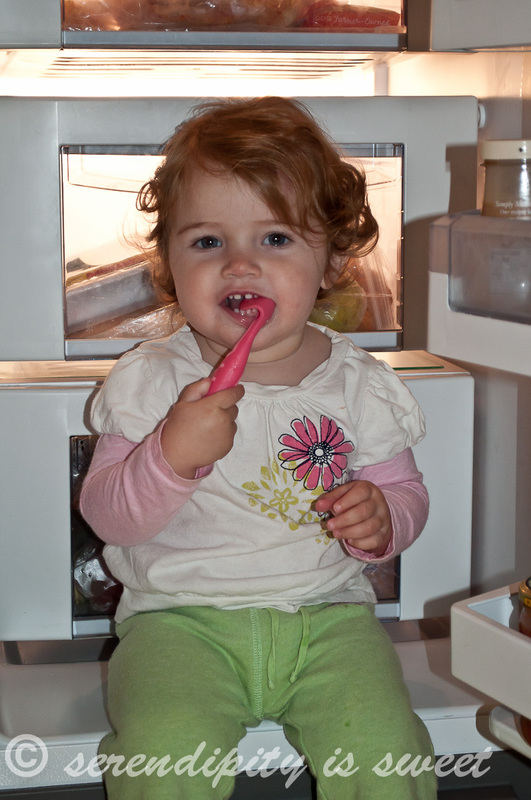 My youngest now thinks that the ledge at the base of our new fridge makes a perfect little seat. Thanks so much for stopping by. Your comments really make my day! For more Wednesday fun, visit these fabulous blogs! In the summertime, that would feel really good! 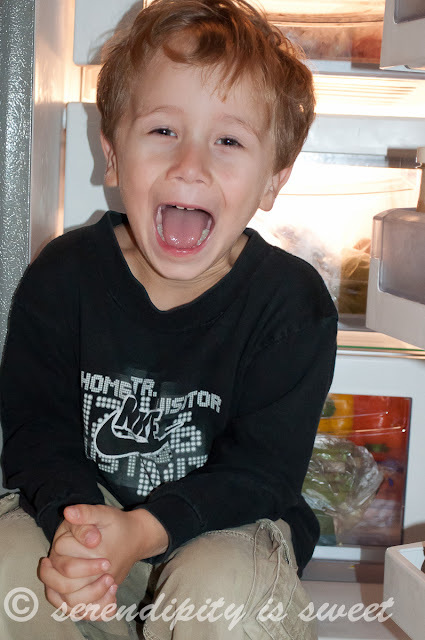 My kids always climb in the fridge (and make messes). Children have some wonderfully weird ideas!